It’s not as perfect and tidy as the original, but I think it turned out great and it serves it’s purpose. 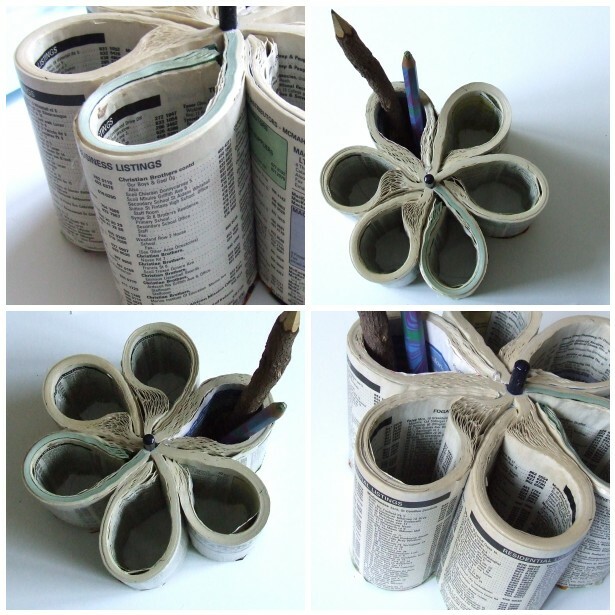 You can make your own recycled phone book desktop organizer with this tutorial over at chica and jo. You did a great job! We are so glad that we could inspire you to recycle your phone book in a phone and useful manner. Thanks for the link!